Iran Private Tours, Our country is so beautiful that if we look at every corner of our corners and rightfully write everything that is true about it, it will not have any text and material that can withstand it. But besides these beauties, among the landmarks of Iran there are places where few people thought that such attractions and places were located in our own country at all! Many places across the country is a popular destination for tourism , particularly nature tourism and domestic tourism has become, to the point that has many residents of large cities in some parts of northern trip , but if you know Among the landmarks of Iran, there are places that exist at all to disassemble your mentality and encourage you to take them. Follow us on Eli Come along with introducing and exploring some of Iran's most spectacular places, perhaps less known to them. Khajeh Mountain should not be merely a mountain. In fact, Mount Khajeh, which is located in Sistan, is a mountain with an outstanding architecture, which is precisely because of the fact that this blessing is one of the landmarks of Iran. Khajeh Mountain is located about 20 km southwest of Zabul and the middle of the lake. Khajeh Mount Zabul is one of the natural beauty of the Sistan plain with an approximate height of 609 meters above sea level, about 100 meters from the Earth's surface. Now why do you think this mountain is famous? In this mountain, one of the remains of the ancient archaeological remains of the Parthians, known as the Jamshid Xushta Zabul. However, many parts of this brickwork have been destroyed for some reason, such as natural and human factors, but still can be found in the type of architecture of this castle and its unique style. In this ancient temple of fire temples, the shrine of Khwaja Mehdi and the cemetery has remained in many different periods. The most important and largest part of the ancient artifacts in Mount Khajeh is located on the southeast slope of this mountain that has three defensive walls, main gate, side corridors, central courtyard, fire temple, and so on. Kafron Castle is known. One of the most interesting and spectacular points of this mountain is the Imam Ali (AS) and the valley burned by the local people as a result of Zulfiqar Imam's throwing to the infidels along the Khajeh Mountain. Although the authenticity of these materials, such as Mazar-e-Sharif in Afghanistan, is more than mythical stories. This beautiful and strange desert region, which is on the list of landmarks of Iran, is located exactly in the western village of the same name. The village of Sadeh is located in the central part of Bandar Lengeh city, 40 km south of the dough and 55 km from Bandarlang. To go to this village, you need to know that access to this area is possible through the port of Lengeh to Port Bandar Abbas. The reputation of this wilderness is because of the fact that after the release of photographs of the clutches of this wilderness, one could not believe that there is such a place in our own country! The desert area of the shadow is delightful in its proximity to the Gulf, with its beautiful beaches. In this area, due to the abundant plenty of palm trees, you will feel as if you were in a city of space. This does not mean that the village was anonymous before the photos were published, and vice versa, the village of Sadeh Khosh, located in the neighborhood of this area, has a very long history. Among the ancient works of this village, we can mention the Bandhassan and the Safavid Caravanserai, which was the site of the Caravanese Reserve in the ancient times. It's enough to take 1 to 2 hours to visit this village, which is one of the unknown places in Iran. The island of Asuradeh, which is in the list of landmarks of Iran, and unfortunately, few people are as important as it should be in the West of the Turkmen port. In the distant past, Ashurda was formed of three almost interconnected islands, unfortunately, the two small islands and its end have been underwater for centuries, and now Ashurade remains desolate and half sunk. Is. Of course, passengers can reach the Ashgabat Turkmen harbor with a boat only for 10 minutes and enjoy the beauty of it. You should know this about Ashgarat, which has had more than a thousand inhabitants occupied by livestock, labor, craft and fishing enterprises with such facilities as the Gendarmerie Post Office, the rural cooperative, the middle school, shop, mosque and Husseinieh. have been. At present, only the fishery workers reside there. Maziçal, which is also on the list of landmarks in Iran, is the name of the beautiful countryside near Kelardasht, with a height of 2600 meters, keeping everyone exactly above the clouds. If the natural phenomenon of the ocean is not formed for natural reasons, then the breadth of your view will be from Chalus to the nearby Ramsar. If the natural causes of the endless clouds do not form in the sky of Mazichal, the extent of your vision will be from Chalous to the nearby Ramsar. If you want to visit Mazichal, be sure to go to this village at least once in the fall, because in the fall this area is fantastic. Take the Chalous Road to Marzanabad to visit Mazi Chal and then change to Kelardasht and then take about 7 km from the main square of Kalardasht on the Abbas Abad road to get to the beginning of the Mazichal road. In Maze-Khal, be sure to go for new dairy products, because the villagers of this village are more concerned with livestock and dairy farming. Baneh city. In the west of Kurdistan province. From the north and part of the west to West Azerbaijan (Bukhne and Sardasht), part of the Maghreb and the south are in the territory of Iraq (Schiller progress) and from the east to the city of Saqez. The mountainous region is located in the lower part of the Zagros mountain range. Its major heights are: Mount Kakar with many pastures (the highest peak is 052.2 m); Suverky Mountain (the highest peak is 229.2 m) and Kotte Rish peak in the village of Nenur (height 842.2 m). In the forest mountains, it is found on the trees of Mazo, Oak, Hawthorn, Wild Pear, Mountain Almond and Walnut. The rivers of this city are from the small river Zab (Zab Moghir), the most important of which are the Choman River, which consists of the two rivers (the two major rivers), Nirvana and Tayeban (Thaeiban); the river that flows from the village There are 10 km from the west of the city of Baneh and the works of the old straw can be seen on it; the Baneh River, which originates from Koh Khan between Saqez and Baneh, about fifteen kilometers north of the city of Baneh, with the northern direction The south passes from Baneh city and eventually flows to Chaman; the Nemir River, which runs in the village of Nemshir, is part of the small Zab river, which arrives in Iraq after crossing Baneh. On the part of its route, it forms the natural boundaries of Baneh and Sardasht. The city of Baneh has many springs, the most important of which is the Kanny Navy, the Ahmadabad Water, and the water of Shaju and the Gouis. The city has two quarters, 113 springs and 126 deep-water wells. Baneh Reservoir Dam with a capacity of 4 million cubic meters, five kilometers north-east of Baneh city, on the Baneh river, has been exploited in dry season to dewater and transfer water to the city. The main products of Baneh are wheat, barley and chickpea, and there is limited supply of tobacco. It is planted from fruit trees, apples and pears. During the Nasir al-Din Shah era, the Québec hunting in rural areas of Baneh was carried out with special ceremonies (Kurdistan Negar events, p. 47 48). Marble mines are extracted from the Baneh Saghez Road about 7,8 km south-east of Baneh city on Baneh Marivan Road, about 6 km, and about seven and eight kilometers north-east of Baneh city. The road of Baneh city to Saghez city in the village of Sarbandlu from Kandan Khan (at 916 meters, 2 meters) passes. The main products of Baneh are wheat, barley and chickpea, and there is limited supply of tobacco. It is planted from fruit trees, apples and pears. During the Nasir al-Din Shah era, the Québec hunting in rural areas of Baneh was carried out with special ceremonies (Kurdistan Negar events, p. 47 48). Marble mines are extracted from the Baneh Saghez Road about 7,8 km south-east of Baneh city on Baneh Marivan Road, about 6 km, and about seven and eight kilometers north-east of Baneh city. The road of Baneh city to Saghez city in the village of Sarbandlu from Kandan Khan (at 916 meters, 2 meters) passes. The main products of Baneh are wheat, barley and chickpea, and there is limited supply of tobacco. It is planted from fruit trees, apples and pears. During the Nasir al-Din Shah era, the Québec hunting in rural areas of Baneh was carried out with special ceremonies (Kurdistan Negar events, p. 47 48). Marble mines are extracted from the Baneh Saghez Road about 7,8 km south-east of Baneh city on Baneh Marivan Road, about 6 km, and about seven and eight kilometers north-east of Baneh city. The road of Baneh city to Saghez city in the village of Sarbandlu from Kandan Khan (at 916 meters, 2 meters) passes. Marble mines are extracted from the Baneh Saghez Road about 7,8 km south-east of Baneh city on Baneh Marivan Road, about 6 km, and about seven and eight kilometers north-east of Baneh city. The road of Baneh city to Saghez city in the village of Sarbandlu from Kandan Khan (at 916 meters, 2 meters) passes. Marble mines are extracted from the Baneh Saghez Road about 7,8 km south-east of Baneh city on Baneh Marivan Road, about 6 km, and about seven and eight kilometers north-east of Baneh city. The road of Baneh city to Saghez city in the village of Sarbandlu from Kandan Khan (at 916 meters, 2 meters) passes. From its ancient works, it can be used to paint the gravestones in the cemetery, and the barns containing human bones and beads that have been found in the village behind the arbaba. There are works of old castles in ten shrines (in the village of Nemshir), in the village of Kayho Rau (in the village of Alut) and in the northwest (in the village). (Tavakkoli, p. 5455). Its inhabitants are Muslim and Shafi'i religion, and they speak Kurdish with the Sorani dialect. Some of them follow the methods of Naqshbandi (see Naqshbandi *) and Qaderi (see Qadriya *). In the droughts, banners run a rush in the rain (ibid., P. 6869). In 1316, according to the law of divisions, the Baneh section was formed in the city of Mahabad. In 1325, with the formation of the city of Saqez, Baneh section was attached to this city. In 1340, it was one of the cities of Kurdistan province. In 1359, the section and village of Pahlavi Fortress Baneh re-named their former name NNOr. In the 1296 survey, the population of the Baneh Block reached over 32,000 people (Kurdestan Negar events, p. 45), and his taxes during the time of Nasir al-Din Shah were 600 dollars (ibid., P. 48). According to the data of the 1370s, the population of the city was about 636, 90, of which 45 per cent were urban and 54.9 per cent rural. According to the 2006 census, it was 118 667 inhabitants. Baneh, at a height of 525, 1 meter above sea level, is located on the northern slope of the Arbeh Mountain (Arbaba), about 60 km southwest of Saghez and 21 km from the Iraqi border. The warmest temperature sometimes reaches 34 degrees and the coldest reaches 20 degrees below zero. Its annual precipitation is 824 mm. Black winds (in winter and summer), and the northern winds (which cause the air to cool in the summer), and winds like Zelan and Tornbord. The city of Baneh has plumbing water supplied from the Pirmorad and Ahmedabad Springs and Baneh Dam near the city. There are also three public gardens and several sports complexes. By the middle of the thirteenth century, the main name of the city was Baneh (Sunbathing), and there are also gardens, in all of which the center of Baneh was named after the fortress. It was once a city before World War I and again in World War II He suffered a severe fire. Now the north-eastern cemetery of the city is called Baneh. The reason for the renaming and displacement of the city was the spread of cholera and plague that spread every few years, and as the survivors thought the original site was infected, they again rebuilt the city and deployed elsewhere. One incident and tribal wars Another factor was the displacement of the city. In Baneh, the names of the Diocesan Spear, the old, the old Cymrae, the old armor, the old mass, etc., are also heard, but there are also settlements with the same names without an old word. The name Baneh is from the word Kundi Bon means the roof and Affected by altitudes and the manner of establishment and location of the city of Baneh. Bane's name means house (for residence and settlement and housing) and Urdu (the camp soldiers) and base (the city's two big castle) are also interpreted. The name of Baneh has been interpreted as meaning a home (ie, a residence and settlement and housing), and a camp (meant for a soldier's camp) and a garrison (the city has two great castles). The height of one thousand five hundred and twenty five meters from the sea level and the landscape of the surrounding countryside has led people to go uphill to reach the city. The name of Baneh has been interpreted as meaning a home (ie, a residence and settlement and housing), and a camp (meant for a soldier's camp) and a garrison (the city has two great castles). The word Baneh is meant in the Urdu. If the two terms (Baneh Maso) and (Baneh Mahr) are in the region, it is tumultuous. Baneh Mazoo is that from the fifteenth of August, which begins to pick up Mazo, groups of women and men, girls and boys leave for several days their villages and pick up Mazo. (Baneh Moor) is that in May oranges and livestock are taken to grazing pastures and altitudes. (Baneh Qarari) is also referred to as life and work, which has been extracted from them according to the above description. The Baneh sign means the high place and the spelling of it is unnecessary, instead of the Fvth mark, which is used in the Kurdish grammar and moves in the lowercase letters of the words. There are other signs that recent writers and scholars have cited, such as Baneh Moor, who brought their eggs to my father in the second month of spring, because they were taken to ranches and highlands, or Baneh Mazoo, who arrives since the fifteenth of August, groups of women Men and women, daughters and boys, leave their villages for a few days, and they spend a few hours a day without picking up a house. The date of the pre-Islamic period Bane little information is available with regard to the Explore this area Vhfary archaeological understated, history of the area in the dark were Vna turns out all traces of the past, what on earth lies, unrecognized and untapped remains Is. This date does not indicate the continuation of the war in Baneh, but says that after a week's rest, the Roman armies will go to Hamadan. The Ilkhan in Baneh coins from Abu Said Bahadur Khan (multiplied by 733), Suleiman Khan, the Mongol (multiplied by 740), Tkvdar Khan (multiplied by 680), Ghazan Khan (multiplied by 697) and Arghun Khan (multiplied by 690) in the Is. According to Sharf-rep-Baneh, the name of the province was that of the nomads of the tribe. The province consisted of two castles and an area called "Beyazar castle", and one called "Baneh" and the other "castle fortress", which was located between the provinces of Ardalan and Babakan Vamkari. In the writings of Abu Abdullah, Mohammad Veddi, the Bunge region, Baneh, was conquered without war and conquest, and there were a number of Muslims there, and Islam was headed by Khalid ibn Waleed to Uramani (it is supposed to be Humor of Waraman or Oraman). ) The attack took place and spread through war. At that time, Khalid bin Walid reported that the residents of Baneh had killed the Muslims living in Baneh, and for this reason they departed Baneh and attacked him, killing many residents and looting all their property and then killing them. Apparently, the saying seems to be true, and in most of Kurdistan, the people of Baneh are called "theocracy". They say that Khalid ibn Walid wrote Amanat Baneh to Amir Vali-e-ad-Din, and wrote his name in the name of Baneh and the suburbs; apparently this fire was burned at the death of the last Emir of Etihmad-al-Dinī, Karim Khan, by Baneh's extras. Still the settlers of the tribal eldids are living with the same family name. It should be noted that Baneh fighters have participated in most of Iran's wars, and many of them have survived on behalf of their sacrifices and courage. The most famous of them is Saro Mire, who participated in the Chaldoran War and was one of the commanders of Shah Isma'il Safavi. In this war, he showed plenty of mischief and was killed. In 1820, an English archaeologist, Master Rich, who was a East Indian company employee, met with his wife a promise to visit Baneh, and the Battle of Baneh Nurullah Sultan was visited by the warrior and wrote a story about Baneh about the lives of the people. According to his writings, he lived in Baneh, where many Jews lived and Baneh was called a "small fortress". From Rich's memories, it appears that the economic situation of the people of Baneh was not satisfactory because of the heavy taxes imposed by the rulers, and if nobody paid taxes, he would have expected death or blindness and the wealth of property and exile of his wife and children. Rich also points to the presence of a large weapon and Baneh spells. The foreigner, named after Jacques Demorgan, is a French historian and historian who visited the city in 1890, seventeen years after Rich, with a French delegation. Among the famous emperors of Baneh, Mirza Big Ben Mir Muhammad, and his son, Budaghat Bey, who fled after Shah Tahmasb, after defeating his brothers, died in Qazvin. After his death, Shah Tahmasb gave the Baneh Emma to Osliman Beag's brother. Solomon Big was a fair-haired man. Resigned from Baneh's government, she made her daughter marry her nephew, Badr Bey, and succeeded in pilgrimage to Hajj twice. Solomon Bagh assigned Baneh the Emirate to Badr Baig and settled in Madinah. His death occurred in Medina. About the Tomb of Solomon Big Some people believe that one of her teeth is buried in Baneh for baptism. The shrine of the people is on the hill in the west of the city of Baneh, in the name of herself. In 1018 or 1019, Shah Abbas I binded Baneh, then the function of Maragheh, to Alexander the King of the Kings. But after a while, the Kurdish Makeri revolted, and in 1021 Shah Abbas I sent Qezel Mashara to the command of Sara Sultan Bigdeli to lay the rebellion, and sent Baneh the Holy Quran of Alexander, who had returned from Shah Abbas. He killed nearly seven hundred people and conquered the castle. According to another statement, Sara-Sultan Hassan Qala'e-e, from the functions of Baneh, whom the Kurds had gathered, met with six other castles and defeated the Kurdish rebels, and Mir-Iskandar fled. Apparently after the fall of the Safavid in 1145, Nader Shah entered Baneh to extort the Ottoman forces from the Maghreb. Nader Shah ordered the Ottomans to be expelled at Baneh every day at sunset. In the war between the Ottomans, Mahmud Pasha came to Iran after the defeat of Solomon Big and entered Baneh, and shook Karshir on him. He killed nearly seven hundred people and conquered the castle. According to another statement, Sara-Sultan Hassan Qala'e-e, from the functions of Baneh, whom the Kurds had gathered, met with six other castles and defeated the Kurdish rebels, and Mir-Iskandar fled. Apparently after the fall of the Safavid in 1145, Nader Shah entered Baneh to extort the Ottoman forces from the Maghreb. Nader Shah ordered the Ottomans to be expelled at Baneh every day at sunset. In the war between the Ottomans, Mahmud Pasha came to Iran after the defeat of Solomon Big and entered Baneh, and shook Karshir on him. He killed nearly seven hundred people and conquered the castle. According to another statement, Sara-Sultan Hassan Qala'e-e, from the functions of Baneh, whom the Kurds had gathered, met with six other castles and defeated the Kurdish rebels, and Mir-Iskandar fled. Apparently after the fall of the Safavid in 1145, Nader Shah entered Baneh to extort the Ottoman forces from the Maghreb. Nader Shah ordered the Ottomans to be expelled at Baneh every day at sunset. In the war between the Ottomans, Mahmud Pasha came to Iran after the defeat of Solomon Big and entered Baneh, and shook Karshir on him. Nader Shah ordered the Ottomans to be expelled at Baneh every day at sunset. In the war between the Ottomans, Mahmud Pasha came to Iran after the defeat of Solomon Big and entered Baneh, and shook Karshir on him. Nader Shah ordered the Ottomans to be expelled at Baneh every day at sunset. In the war between the Ottomans, Mahmud Pasha came to Iran after the defeat of Solomon Big and entered Baneh, and shook Karshir on him. In 1326, the Ottoman troops entered Baneh and settled in the fort of the sovereignty and called it "Military". During the First World War, the Ottoman troops pushed Baneh to defend the Ottoman caliphate against the Russians. But they were defeated, followed by the Russians capturing Baneh and burning it. In 1333, the Ottoman forces entered the city of Baneh under the command of Abraham Battali, and Mohammad Khan executed the governor there. In the 1320s, during the Second World War, the Red Army entered Baneh, and eventually evacuated it. It is said that many years later, in the bane of the disease, many people were killed, the Kurdistan region, including Baneh, which was the focal point of the disease, was occasionally inhabited by a plague, and as a result, the city became a ruin and people They began to build a new city in fear of developing a disease, and they used to call the old city the old name. As in the year 1871, in the bane of the plague, it was spread to Parcho-kun, Bane-kun, Spit-kon and Ciaman-Kon and others. According to Shimmer, a health physician in Tehran, the Ottoman government informed about the outbreak in Baneh, in order to obtain accurate information, including the extent of the disease and the potential risk of its release to his country, Dr. Tabatani, Dr. Wartanat, was charged with investigating the incident in Kurdistan from Sulaimaniyah. Make At the same time as the Ottoman government, the Governor of Azar Bajjan, who had informed Kurdistan and the unprecedented incident of the regime, informed Hakim Mirza Abdul Ali of the doctors of Tabriz to investigate the incident and send it to the polluted center. In the end, with the efforts of physicians and doctor Schlicker and people's collaboration, the origins of illness became apparent and destroyed. Mohammad Rashid Khan, the son of Qadir Khan, was the successor of his father after his death. He owned the villages of Wina, Dar Khan, Kani Bei, Bala, three Rebarahi Umm Ava in Kurdistan, Iraq. In Baneh, the neighborhoods of Nenour, Prophet Ayat Sultan, Boeing and his family were captured. In September 1320, when Mohammad Rashid Khan noticed that the Russians had discharged all the Baneh regiments, he was well versed and prepared to attack the city of Baneh and remove it. Mohammad Rashid Khan sent a message to the guardian of the garrison and the marshmallows of the offices of Mary and sent a shipment with the letter, which means that if they resist, their heads would be shot. They also rejected Mohammad Rashid Khan's request, saying they had enough power and would never give up, and sent him a special "vinegar" around the women's head, which means that we do not consider you male. After the fall of the city, Mohammad Rashid Khan issued orders to reduce the terrors of the residents and the custodians, giving orders to the officials and government officials, and the city resumed its normal course. Mohammad Rashid Khan seized Baneh Saqez without any opposition, leaving his government there to his brother and returned to Baneh after a week. The nomads around Sardasht, who were aware of the fall of Baneh and Kashz, sought help from Sardasht from Mohammad Rashid Khan. Defenders of the city, because they are aware of Mohammad Rashid Khan's approach, take their munitions and flood their way to the river. But at the distance of the city and the riverbank, they will be taken away from the resistance, and the weapons will be thrown into the ground, and the tomb will fall into the hands of the nomads. On May 4, 1321, the army entered "That Leah Khan" and closes the Baneh square. Army commander Brigadier Arfes sent Mr. Ilkhanizade to arrest Mr. Mohammad Rashid Khan to avoid the war, where he arranged a peace treaty between Baneh and his tribes. According to the agreement, the Baneh tribes should stop abusing and their past operations should be forgiven by the government, and they should not be prosecuted until the tribes carry out their obligations, and the restoration and maintenance of the security has been given to the tribesmen. In other words, Baneh was formed by means of extractives, which paid 14,000 tomans a month from the government. For the first time, the radio in 1322 arrived in Baneh by Mohammad Rashid Khan and Waliaman Khan, and the people were enthusiastic about working around the radio around their house. In June 1323, Mohammad Rashid Khan, as he saw the situation of Marivan, became marijuana. He left Muhammad Amin Khan, his brother, with whom he was riding there, and returned to Baneh. In violation of the 1321 agreement by Mohammad Rashid Khan, Brigadier General Hussein Afshar was mandated to dismiss him. In early October, 1323, Afshar went to Baneh, a promise of the Tibetan tribe. Before arriving at Afshar, Gandeh Khan, Mohammad Rashid Khan announced to Baneh residents to evacuate Baneh and move to the villages, because in the event of defeat, the city's forces might be fired. He demanded assistance from the Baneh expeditions to confront the army, who answered in answer: "Mr. Mohammed Rashid Khan! If you fail, you can return to your own villages in Iraq, but we have no place to take refuge. " Mohammad Rashid Khan said to them, "I will not leave a city to use it after me." The residents of Baneh, who were reassured by the seriousness of Mohammad Rashid Khan's decision, sent him two elders from the city to dismiss him from his decision. But Oder replied, "Do not be upset!" In "Dar Khan" I will make a new town for you. On October 8, 1323, Mohammad Rashid Khan made his decision and ordered the city to be burned. Some of his mummers, including Rostam Rish, and a few of the agents of Baneh, worked for him. One hour later, flames rose from the city's neighborhoods to the sky last night. For decades, there were bad tides of oil from Haj Mohammad Amin Bakhtiari in one of his shops. The perpetrators broke the crimes in the shop and brought oil pipelines into the houses and burned them. During the fire, Mohammad Rashid Khan, in the vineyards of Arta, was taken to a stand and watching the fire with the camera. On the morning of the 9th of the month, the city of Baneh was transformed into a slope of ash, with no mosques and several houses where their numbers did not exceed their fingers, there was no house left, so that the smoke of the fire did not stop, as the houses of that time stick together more. Their roofs were entirely covered with wooden beams and leaves of trees. There was a high rate of fire transfer and fire; there was a fire in the neighborhood of a fire bait. After burning down the city was almost finished, the army arrived in the city, and Mohammad Rashid Khan left the Mount Arba with Army entry to the city. Intelligent Brigadier Afshar contacted several displaced persons after the deployment of force in the city and region, encouraging them to return to the city and renovate their homes, and inform the survivors that they are receiving state aid to repair the ruin. Since May 1324, the city's rebuilding operation has been rebuilt over the next 10 years. With the proclamation of Israel's independence in 1948 and the dissolution of Palestine in 1927, Baneh Jews, who were about forty households and mostly engaged in trade and trade, were thinking of immigration to Palestine, and in late spring of 1328, Solana left Baneh completely to Palestine Immigrated. dovresti essere informato sulla tua condizione di visto in base alla tua nazionalità. il processo di visto dell'iran contrario all'opzione comune non è affatto difficile, dovresti solo studiare attentamente i suoi punti. documenti: i documenti richiesti sono tutti uguali per diverse nazionalità, ma soprattutto è necessario effettuare la richiesta tramite un'agenzia di viaggi valida. avere un passaporto con validità di almeno 6 mesi dalla data di arrivo o dall'ora di inizio del viaggio è necessario. è necessario caricare una scansione colorata delle principali pagine del passaporto in formato PDF / JPEG, i codici del passaporto nella parte inferiore della pagina del passaporto devono essere chiari. modulo di richiesta del visto: il modulo è disponibile sul sito web dell'agenzia che deve essere compilato in base alle informazioni personali dell'utente. ti preghiamo inoltre di scrivere correttamente l'ortografia del tuo nome. Se hai fatto un viaggio ami sono imbattuto prima, dovresti annotare la data esatta. il tuo nome completo, numero di passaporto, data di scadenza e la nazionalità è tra le informazioni più importanti che dovrebbero essere scritte attentamente. la tua occupazione è impotant pure, bacausele agenzie turistiche possono rilasciare solo visti turistici e se il tuo scopo di viaggio è un viaggio di lavoro, viaggi politici e stampa, l'agenzia del turismo non può procedere all'emissione dei visti per te. se sei un phtographer e lo hai professionale fotocamera con te durante la tua trippa, per favore sicuramente menzionarla nella tua richiesta a partire dal. Nota:mi sono imbattuto il centro viaggiatori può richiedere il visto di lavoro e un visto turistico. costo visto iran: il costo dimi sono imbattutoè 60 dollari per ogni passaporto. si prega di fare attenzione che questa spesa è solo il prezzo che si paga all'agenzia per il codice di autorizzazione visto ed è a parte il costo del visto che si dovrà pagare presso l'ambasciata o il consolato del proprio paese, che è la tassa diversa a seconda di la tua nazionalità. un altro punto è che se prenoti un tour completo con la nostra agenzia, il costo del visto sarà gratuito. il prossimo passo è ottenere il codice di autorizzazione visto che è un numero di 18 cifre che l'agenzia ti invierà via e-mail per conto di mi sono imbattuto MFA (il ministero degli affari esteri) avendo questo numero dopo 3 giorni lavorativi, sarai in grado di fare riferimento alla tua ambasciata o consolato iraniano scelto e ottenere il visto stampato sul passaporto. si prega di fare attenzione che la durata della validità del codice del visto o il tempo della raccolta del visto dipende completamente dall'ambasciata del proprio paese, ma in media 25 giorni nel tempohai per riferimento alla tua ambasciata dopo aver ottenuto il tuo codice di autorizzazione. il tempo di validità dimi sono imbattuto il visto è di 90 giorni. In base ai regolamenti, le nazionalità americana, britannica e canadese devono avere un itinerario fallonon ha bisogno di cambiamenti nei suoi servizi turistici. Queste tre nazionalità dovrebbero assolutamente applicare attraverso un'agenzia di viaggi valida in Iran, notare che non è possibile richiedere un visto singolo, un tour completo con una guida / hotel e un autista è d'obbligo. Tieni inoltre presente che dopo l'avvio della procedura, non è possibile apportare modifiche, a meno che non sia necessario. Il tempo di elaborazione per la ricezione di un codice di autorizzazione è di 30 giorni e inmaggioranza di casi i visti saranno approvati. Quando scegli il luogo per ottenere il tuo visto, assicurati di menzionare certamente la tua destinazione finale, oltre al fatto che ad ogni cambio devi pagare soldi extra, questo rinvierà anche il tuo processo di riscossione dei visti, e per americani, britannici e canadesi nazionalità, è impossibile. Dopo aver ottenuto il timbro del visto, si prega di informare l'agenzia e il vostro corrispondente in agenzia. Se si verificano problemi, possono consigliarti la soluzione migliore. Giovedì e venerdì sono i fine settimana in Iran, quindi il MFA (Ministero degli Affari Esteri) è fuori servizio in questi giorni. Per favore prendi le vacanze in Iran in considerazione del fatto che nogovernare mentale gli uffici (AMF, ecc.) non sono in alcun modo reattivi, quindi scegli il tuo tempo di viaggio precisamente. La validità del visto aeroportuale o del VOA è al massimo di 30 giorni possibleforalcune nazioni. In questo tipo di visto, puoi ricevere il visto direttamente quando entri in Iran nei principali aeroporti, Un altro modo che ti possiamo suggerire sarebbe quello di fare domanda tramite l'agenzia e scrivere il tuo posto di emissione del visto per uno dei principali aeroporti al tuo arrivo . Kish Island e Qeshm Island appartengono alle zone commerciali libere dell'Iran, quindi non è necessario alcun visto per entrare in queste due isole, anche per i viaggiatori americani, britannici e canadesi, ed è possibile soggiornare per un massimo di 15 giorni. Le strade dell'Iran sono di buona qualità e puoi goderti la sua meravigliosa natura e le viste panoramiche durante i tuoi viaggi su strada. Come forse già saprai, l'Iran è un paese con una natura unica di quattro stagioni ed è pieno di attrazioni storiche, e pertheinter-città di viaggio, i viaggi in auto sono altamente raccomandati. non è necessario essere preoccupati per i conducenti. I conducenti nominati per i tuoi viaggi tramite l'agenzia hanno una patente di guida valida dell'Organizzazione diIranTourism, Eredità e Artigianato. Acquisto di biglietti di trasporto come autobus, treni eaeroplani, è necessario pagare solo attraverso un conto bancario iraniano. Pagare con le carte di credito non è possibile qui in Iran, ilfuggire l'idea sarebbe quella di far conoscere la tua agenzia e fare in modo che la tua prenotazione e le commissioni vengano eseguite da loro. 16 la tabella qui sotto, è possibile acquisire familiarità con diversi tipi di auto Touria e i loro posti numero. Il punto che vale la pena prestare attenzione è che secondo le leggi da 1 a 3 i passeggeri dell'auto sono considerati come una persona (autista-guida), ma per più di 4 persone, ci dovrebbe essere un driver distinto e una guida assegnata per ogni tour. Quindi se hai bisogno di un autista che parla inglese, per favore contattaci in anticipo. se stai socializzando con la gente iraniana e ti piacerebbe godere delle viste panoramiche della bellezza iraniana sulle strade, dato che hai abbastanza tempo in Iran, puoi scegliere i treni per trasferirti da una città all'altra. Ci sono firgt treni di classe in Iran che sono sicuri, confortevoli e sicuri e loro cogt è molto ragionevole. Mögt le cabine sono dotate di buoni servizi primari per dormire, guardare la TV e e puoi ordinare del buon cibo dai menu del suo bello regtaurants e goditi gli scenari fuori dal treno. Per prenotare i biglietti, è possibile fare riferimento al nostro indirizzo e-mail e poiché esiste una grande varietà di tipi di treni e società, possiamo condividere con voi le informazioni complete e noi effettueremo quella basata sulla vostra richiesta. Bus VIP : gli autobus sono tra i trasporti preferiti in Iran. Un gran numero di loro sono pronti a servirvi ogni giorno con orari diversi per tutte le diverse rotte in Iran, ogni città ha almeno un terminale. I percorsi e la qualità degli autobus sono di livello standard, i costi dei biglietti dell'autobus hanno costi ragionevoli. Gli autobus di prima classe sono di due tipi: VIP e SCANIA, i loro posti sono molto convenienti rispetto agli autobus ordinari, i loro autisti e gli assistenti hanno superato corsi speciali. Tutti gli autobus dispongono di adeguati sistemi di condizionamento dell'aria e servono una semplice ricezione lungo la strada. E come menzionato prima sull'acquisto di biglietti in Iran, la prenotazione dovrebbe essere effettuata tramite la tua agenzia in Iran. viaggio aereo: nella maggior parte itinerari puoi scegliere un volo, ma considerando gli orari dei voli che non vengono eseguiti quotidianamente per alcuni percorsi, lo è fuggire per permettere alla tua agenzia di prenotare i voli per te. Se viaggi in Iran in alta stagione, è meglio prenotare i tuoi voli due mesi prima per evitare qualsiasi inconveniente. Prenotando il tuo volo attraverso un'agenzia, devi comunicargli il tuo nome completo, il numero del passaporto, la data di scadenza e anche un scansione chiara del tuo passaporto. Iran Travelling Center possiamo prenotare i biglietti aerei prima del tuo arrivo Con tariffe ragionevoli, per i voli locali si prega di notare che il bagaglio dovrebbe essere al massimo da 20 a 30 Kg a persona. 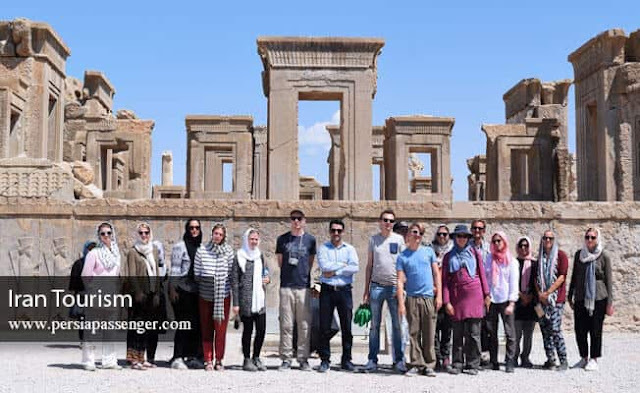 guide turistiche in iran: come accennato prima, la nostra agenzia vi presenta inoltre guide turistiche di lingua inglese professionale, guide turistiche esperte in altre lingue come tedesco, francese, spagnolo, italiano, cinese, russo, giapponese e così via. sono tutti esperti, professionali e ben istruiti e hanno un certificato valido del patrimonio culturale e dell'organizzazione turistica iran per guidare i tuoi tour. il punto che vale la pena menzionare è che il costo della guida non inglese è diverso e nella maggior parte dei casi include spese aggiuntive e poiché abbiamo più richieste di buone guide turistiche, le nostre richieste dovrebbero essere inviate in anticipo in modo che il loro programma non sia diventato completo e infine l'orario di lavoro delle guide turistiche è di sole 8 ore al giorno, lo stesso vale per le guide dei conducenti. Alloggi e hotel influenzeranno direttamente il livello di soddisfazione durante il viaggio in qualsiasi paese. In Iran ci sono diversi tipi di luoghi di alloggio oltre ai comuni luoghi di soggiorno europei. Oltre agli hotel moderni a 2 e 5 stelle delle grandi città, in Iran sono offerte case tradizionali, appartamenti di lusso, appartamenti d'albergo, ecc. In alcune città antiche come Yazd e Kashan e villaggi, vengono offerte anche case tradizionali, boutique hogtels e ville. In Iran è possibile rilassarsi all'interno di una villa in riva al mare, nel nord e nel sud del paese. Puoi vivere una notte di soggiorno nelle case ecoturistiche nel mezzo del deserto o trascorrere il tuo tempo prezioso rilassandoti in un cottage nei villaggi vergini dell'Iran o vivere un paio di giorni con tribù nomadi iraniane che percepiscono reali difficoltà di una vita così avventurosa e mangiare o bere cibi e bevande locali. Nella maggior parte dei nostri alloggi la prenotazione è in grado di parlare almeno la lingua inglese. Perché le prove in alcuni sono fatte manualmente; chiedi alla tua agenzia di inviare il voucher dell'hotel via email prima del tuo viaggio. Prendi in considerazione il periodo di alta stagione. Complessivamente prendi le prenotazioni alberghiere dei tuoi due mesi prima di venire in Iran e se il tuo tempo di viaggio è durante l'alta stagione, fallo 6 mesi prima del tuo suggerimento, perché a causa degli Umitations la maggior parte degli hotel sono prenotati. Nei moa degli hotel in Iran ci sono servizi primari come sandali, asciugamani, shampoo, saponi e asciugacapelli nelle camere. Se è necessario un tipo speciale di servizio, vi preghiamo di informarci in anticipo. Per la sistemazione in hotel, è necessaria la carta d'identità (passaporto) e il buono dell'hotel. In contrasto con la concezione comune che le persone di viaggio in Iran sono molto difficili a causa di differenza in genere Ference e la varietà può essere allo stesso tempo molto anche sperimentarla. In Iran, le donne indossano vestiti che si chiamano sciarpe, c'è una grande varietà di disegni a colori che possono essere interessanti per te, puoi comprare molte di queste sciarpe nel villaggio di venirsdall'Iran. Si usano cappotti chiamati Manto e con pantaloni o gonne lunghe o gonne con calzini che non hanno limiti di colore e si possono indossare colori. Quindi non preoccuparti del rigore della tua copertura che provochi un diverso tipo di abbigliamento. C'è anche no e solo che è meglio non indossare pantaloncini in pubblico per gli uomini va bene. Se desideri, puoi ordinare la copertura stagionale locale degli iraniani prima che il tuo viaggio per farti avere bisogno sia solo per contattarci e ordinare i tuoi vestiti su misura. È possibile fornire carte Sim iraniane a un prezzo ragionevole non appena si arriva all'aeroporto da cui vendono sim card. Puoi acquistare carte prep prepagate con pacchetti Internet illimitati e goderti la sua connessione Internet ad alta velocità durante il tuo viaggio in Iran. Due famose società di vendita di sim card in Iran sono Irancell e Hamrahe Aval. Una carta SIM prepagata con un pacchetto Internet settimanale illimitato costa dai 10 ai 15 dollari USA, di cui puoi facilmente attivare la connessione Internet nella sezione Dati mobili. Se hai bisogno di una carta SIM, puoi scegliere una carta SIM tra i servizi turistici ad un buon prezzo prima del viaggio in modo che l'agenzia possa prepararla per te. Tranne l'Internet della sim card, è possibile attivare la connessione WI-Fi del proprio telefono cellulare nella maggior parte degli hotel, nelle caffetterie e negli stabilimenti, e nella hall dell'hotel è sempre disponibile la connessione Internet gratuita. Potresti avere limitazioni sull'importo del pagamento in Iran con carte di credito internazionali. Il solito modo è avere denaro contante o scambiare denaro con i propri problemi. La buona notizia è che l'agenzia Iran Traveting Centre ti sta introducendo nuovi servizi collaborando con banche in Iran come Pasargad e Ayandeh. Questo servizio speciale è chiamato carte di credito turistiche. Puoi chiedere al nostro corrispondente di ordinare tali carte per te prima del tuo viaggio in Iran. La spiegazione di questo problema è che puoi avere un account in Iran attraverso la nostra agenzia e inviando le tue informazioni personali appositamente pensate per i turisti in Iran. Poi puoi anche avere una carta di credito il cui denaro puoi depositare i tuoi soldi e usarli durante il tuo viaggio e finalmente hai soldi iraniani su di te e nel caso in cui alla fine del tuo viaggio ci siano dei soldi, puoi riceverlo in dollari o euro. Questa carta ha molti vantaggi. Il costo di apertura di un account per te è da 25 a 63 dollari. La diversità alimentare di ogni regione è veramentee a volte diventa la ragione principale per viaggiare in quella specifica regione. Questa diversità di cibo può essere osservata molto spesso in Iran e secondo la geografia di ciascunodigtrict in Iran, ci sono molti diversi tipi di piatti e specialità locali che ti piacerà sicuramente mangiare. Oltre ai piatti locali, ci sono molti alimenti e internazionali in ogni città dell'Iran. Un punto molto importante di cui dovresti essere informato è che, basandosi sulle credenze religiose degli iraniani, nei loro piatti non viene utilizzata la carne di maiale ed è vietata. Diversi tipi di pesce, pollo e carne sono usati nei piatti iraniani e anche le bevande alcoliche sono illegali e non vengono vendute, ma in Iran si trovano tutti i tipi di bevande analcoliche. I sorbetti al doogh e alle erbe sono due tipi di bevande locali e deliziose che sono suggegate per essere certamente contraddistinte. Se sei vegetariano e hai una dieta speciale, informaci preventivamente in modo da dirlo alla tua guida o ti consigliamo ristoranti speciali. Se il turista annulla il tour 20 giorni prima del suo inizio, il pagamento di questo contratto sarà rimborsato con la penalità al tasso del 25% imposto. Se il turista annulla il tour 15 giorni prima del suo inizio, il pagamento sotto questo contratto sarà rimborsato con la penale del 50% del costo del tour imposto. E se annulli il tour meno di 10 giorni prima che venga applicata la penalità di viaggio del 100% del costo del tour. In corrispondenza con il tuo tour operator ti preghiamo di prestare attenzione alle inclusioni ed esclusioni dei tuoi servizi turistici, Se hai bisogno di includere o escludere servizi speciali nel tuo tour, assicurati di etichettarlo Oy come titolo (avvisi) per la sezione corrispondenza. Altrimentiil tour operator non è responsabile per il servizio specifico. Prima di iniziare le prenotazioni, di sicuro chiedi al tuo tour operator di inviarti l'ultimo itinerario, i servizi turistici e la parte finale per te con il titolo "Finale" e dovresti finalizzarlo con la tua conferma. Il rimborso dei soldi per i servizi turistici come volo, treno e hotel dipende dalle condizioni di cancellazione e non dall'agenzia. In caso di problemi che possono portare alla cancellazione del tour, il tempo rimanente fino al viaggio è essenziale. Dopo aver scelto il servizio e il tour, si entra nella procedura di pagamento con l'agenzia. Sulla base delle regole del tour in Iran, per la conferma finale di hotel, guida turistica e autista, dobbiamo pagare le spese prima del tuo viaggio in Iran. Quindi ti viene chiesto spesso di pagare metà dei tuoi viaggi verso uno dei nostri conti bancari in Malesia, Dubai, Giappone, Stati Uniti, Gran Bretagna e Russia come deposito prima di venire in Iran e il regolamento può essere pagato quando sei in Iran. Poiché il processo di conferma per la ricevuta richiede in genere almeno una settimana, si prega di prendere questa volta du. considerazione nel tuo piano di viaggio, come è stato menzionato prima, le nostre condizioni di alta stagione saranno totalmente diverse e il tempo di pagamento per i nostri servizi turistici sarà spesso di circa 6 mesi di anticipo. L'assicurazione di viaggio è un servizio opzionale che puoi scegliere di includere o escludere tra i tuoi servizi turistici. Ma sulla base di vent'anni di esperienza nella nostra agenzia, Iran Travelling Center, ve lo consigliamo vivamente; perché puoi goderti il ​​meglio del tuo viaggio in Iran senza preoccupazioni per eventi imprevisti. La principale assicurazione che viene fatta per i viaggiatori in Iran è effettuata dalla compagnia Iran Insurance e il suo costo è di 40 $ a persona in base al quale ti verranno assegnati fino a 100.000 euro e le spese saranno pagate a te in base al tipo di perdita incorso a te. È possibile compilare online il modulo di richiesta di assicurazione in base alle proprie informazioni personali come nome completo, numero di passaporto, nazionalità e data di nascita e spiegare le proprie condizioni di salute nella sezione "Note" e se si soffre di un tipo speciale di malattia, per favore parla della tua malattia. Le condizioni di assicurazione variano in base al tempo di viaggio e all'età. Le sue informazioni generali sono spiegate di seguito in breve e se avete altre domande, vi preghiamo di informarci tramite il vostro corrispondente; i nostri colleghi ti forniranno i migliori servizi nel più breve tempo possibile. C'è anche un altro tipo di assicurazione che si chiama assicurazione di responsabilità civile, conosci questo tipo di assicurazione? Questo tipo di assicurazione è un complemento dell'assicurazione di viaggio. È usato più spesso per i nostri Leghe e il personale delle agenzie di viaggi (che sono i nostri partiti commerciali) e se le nostre controparti affrontano problemi mentre si trovano in Iran, questo tipo di assicurazione sarà utilizzato. Il suo costo è la piccola quantità di 4 dollari a persona ogni giorno. Per firmare un contratto di lavoro, alcune società chiedono questo tipo di assicurazione - Saman Insurance co. ci fornisce questo tipo di assicurazione. Viaggiare in Iran sarà molto più facile se hai qualche informazione sulla valuta iraniana. Puoi scambiare la tua valuta estera di Dollaro, Euro e Sterlina a Rial nelle banche, ma il luogo in cui scambiare le valute straniere in Iran sono gli uffici di cambio, chiamati Sarafi, che hanno addestrato dipendenti con un buon comportamento pronti a essere al tuo servizio; sono esperti e piuttosto entusiasti, e la cosa da poco sui negozi di cambio valuta in Iran è che si scambiano fagt! Quindi non è necessario cambiare la valuta prima del viaggio, in quanto tutti gli aeroporti, gli hotel e tutti i negozi di cambio ufficiali effettueranno transazioni in valuta, soprattutto se il denaro è comunemente usato nel mondo e nel mercato del turismo iraniano, come il DolLars statunitense e euro. Il tasso di cambio iraniano sta cambiando giorno per giorno e persino ogni ora secondo il sistema economico e le relazioni politiche iraniane, poche informazioni dal nostro agente ti aiuteranno a trovare il modo migliore per scambiare le tue valute in Rial.